Jordan Henderson has often gone under the radar for Liverpool this season but he has come to the fore in recent weeks with his performances in the middle of the park. 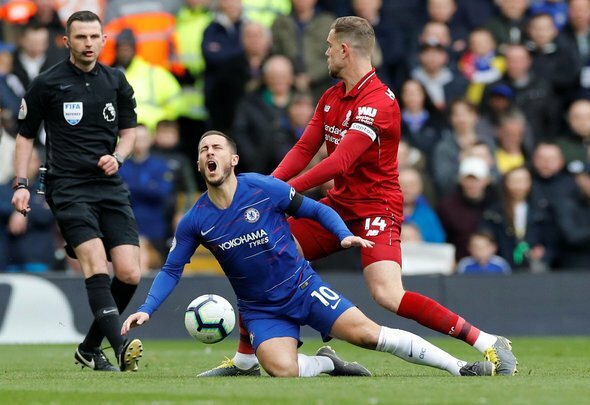 Operating further up the pitch as a defensive-minded playmaker, the England international has been exceptional and that did not change against Chelsea on Sunday afternoon. He might not have been creating chance after chance but he did break up play in an advanced role, taking the pressure off his defenders time and again. When he did create an opportunity, it was a gilt edged one, his lofted ball into the box giving Sadio Mane a clear header at goal which would have been harder to miss than hit the back of the net. It is no wonder that the Reds faithful are absolutely in love with him on Twitter and there will be some fears over his status after appearing to pick up an injury. He suits his new role to the ground – fans and Jurgen Klopp alike will be hoping he is fit enough to continue playing there in the coming weeks. Henderson making some brilliant runs into the box. Only a matter of time untill he gets on the end of one ??? ?